Founded in 1876, the city of DeLand has a unique heritage and a rich culture, offering events catering to all ages year-round. The city is also home to Florida’s oldest private college, Stetson University, which enhances the offerings of many cultural experiences, such as museums, theater, speaker programs and more. On any given day, you can go camping, a street festival, followed by the theater. Now, you can create an environment in your DeLand home that is just as vibrant as the one your city has to offer! 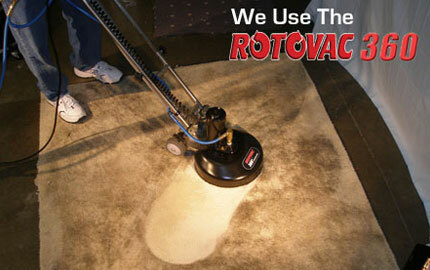 DeLand Neighbors and Friends: Have you heard of the Rotovac 360i for carpet cleaning in DeLand, FL? It is truly amazing, and you can find out all about how different it is from traditional carpet cleaning on our website. I’m Ellen Fagan and I started Steam Clean My Carpets, LLC. many years ago, after having pet stains on my carpets and being unable to restore them to perfection. So, I did research on the best equipment on the market for carpet cleaning, and I found the Rotovac 360 – upgraded to the Rotovac 360i to date. I decided to buy it to see for myself how it compared to the “old-fashioned wand” that everyone was using: Wow, I could not believe the results! It got my carpets cleaner than ever, making them presentable for company once again. I urge you to watch videos on our website and see what I am talking about! I am so sure that you will like how we can clean your carpet that I offer you my guarantee: “You will be delighted with our quality cleaning or it’s FREE! • Pet Urine Cleaning – Yes, even cat urine! Are you still debating whether to choose us for your carpet cleaning in DeLand, FL? When I decided to try out the Rotovac 360i for friends and relatives, they were just as impressed as I was. Feedback from homeowners like you was the beginning of Steam Clean My Carpets, LLC, and it does not stop there: Be sure to check out our numerous client reviews, Before and After pictures, carpet cleaning specials and much more!